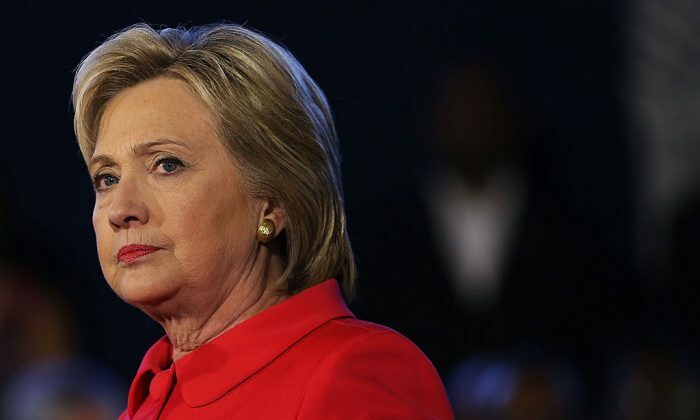 The search warrant authorizing the FBI search a laptop computer in connection with the investigation into Hillary Clinton’s private email server was unsealed on Tuesday. 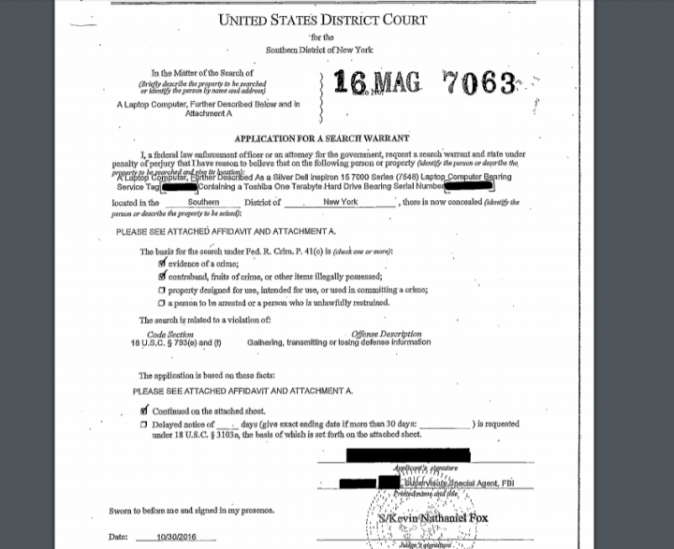 The redacted warrant ordered the search of “[a] laptop computer, further described as a silver Dell Inspiron 15 7000 series” that belonged to former New York Rep. Anthony Weiner. A federal judge in New York ordered the warrant and supporting documents to be unsealed after attorneys opened a case to request access, ABC News reported. The laptop’s hard drive was being researched in investigations pertaining to lewd text messages that were allegedly sent by Weiner, who is the estranged husband of top Clinton aide Huma Abedin. Weiner and Abedin reportedly shared the laptop. 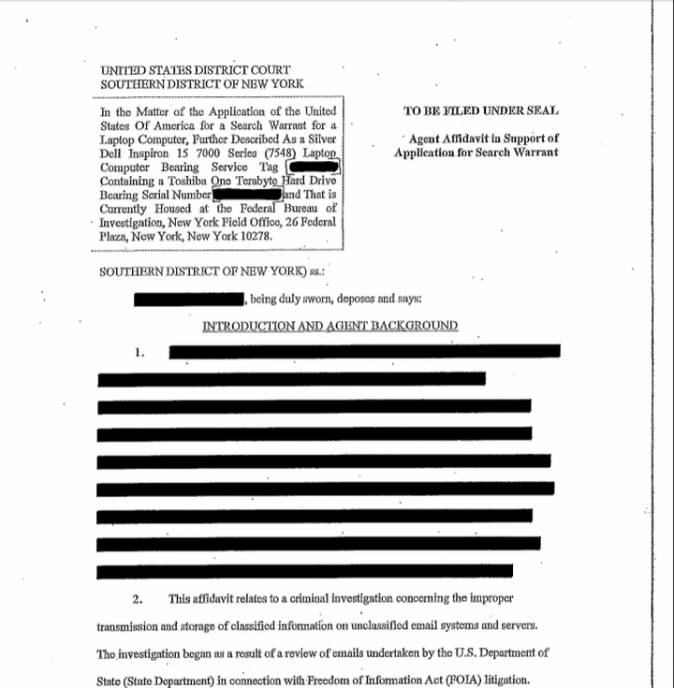 Identifying information in the case, as well as information about the FBI special agent who filed the affidavit in support of the search warrant was redacted upon publication. The FBI searched the computer less than two weeks away from Election Day after FBI Director James Comey sent a letter to Congress saying there was a possibility that emails discovered on the laptop could have been related to Clinton’s email server investigation. Then, a few days before Nov. 8, Comey said there would be no new charges against Clinton following the probe. E. Randol Schoenberg, the attorney who began the case to unseal the warrant, told ABC that the warrant “meant that some judge thought there was ‘probable cause’ to believe that an actual crime had been committed and that they would find evidence of the crime on the laptop.” He wanted to understand what the probable cause could have been, so he ordered a New York attorney to try and get it unsealed.